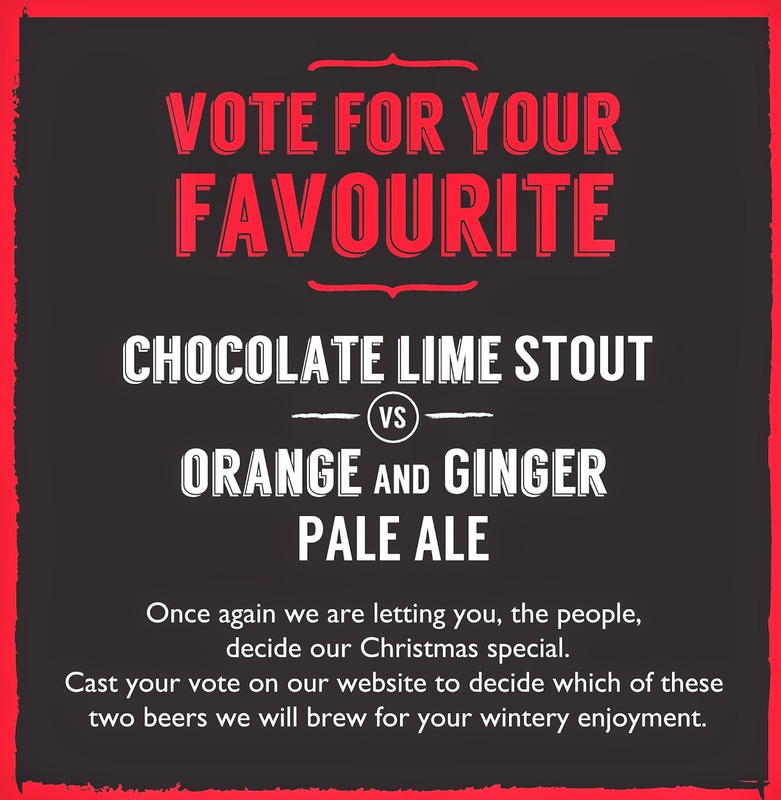 Tyne Bank Brewery: Christmas Special Vote. We know it's early, but we want you to choose what our Christmas special will be. Voting is now open to ensure we have enough time to order ingredients and have the beer ready to go on sale at the start of December, and give you plenty of time to cast your votes. Option #1: Chocolate Lime Stout - Inspired by the traditional boiled sweet, this would be a thick, rich and smooth 5.4% stout, brewed with real chocolate, dark malts, limes, lime zest and citrusy hops. Option #2: Orange and Ginger Pale Ale - A 4.4% pale ale flavoured with warming ginger and fresh oranges for a wintery, Christmas themed brew. Click on the 'Christmas Special Vote' tab at the top of the page, or follow this link and choose your favourite. The beer will be in cask and keg in plenty of time for you to enjoy during the festive season.